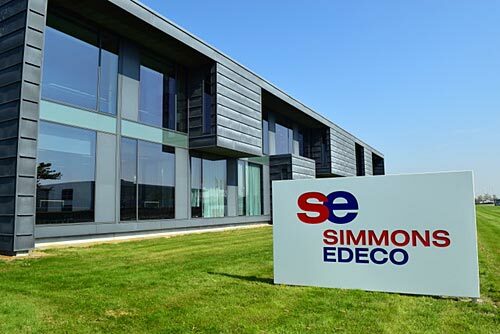 SIMMONS EDECO, supplier of wellhead and valve maintenance, asset integrity solutions and onshore drilling services to the global oil and gas industry, announced that it has opened its first base of operations in Denmark. The decision to expand into Denmark was triggered by a recent contract awarded to provide wellhead maintenance services for wells in the Danish North Sea. The new 6,000 square meter facility is located in the seaport town of Esbjerg. It is SIMMONS EDECO’s primary base of operations in Denmark, from which it provides wellhead and valve maintenance services, refurbishes valves and wellhead maintenance equipment, and manages major and consignment stock to support customers in Scandinavia and Northern Europe. “The ability to provide a responsive and quality service to our client is paramount, and this new base of operations in Denmark will certainly play a key role in achieving those objectives,” says Gavin Sherwood, Base Manager-Denmark for SIMMONS EDECO. “ We are very proud of our recent entry into the Danish market, and look forward to supporting companies that operate in the region for many years. The new base also allows us to reach out much further into Northern Europe, which is critical for our future growth,” he adds. Situated just 15 minutes from the airport in Esbjerg and four miles from the North Sea, the base is readily accessible and well situated for efficient mobilisation of staff and equipment, which bodes well for serving customers. The faster that SIMMONS EDECO can respond, the sooner the solution can be executed, reducing costs and saving time.